We stayed in La’gent Hotel Osaka Bay which is very near Universal Studios Japan during my stay in Osaka. It is about half an hour from the heart of Osaka. Many people choose to stay here because it is located very near Universal Studios Japan. We choose to stay here simply we wanted to stay away from the city area. Rates are usually higher at the CBD area and if it is within 5 mins walking from the train station. Since we have a rented car, we choose to stay outskirt to enjoy a cheaper rate for the hotel. This is another way to help you save money. Let’s find out what they have in this hotel. You can park your car in front of the hotel parking lot. There is a fee to pay, about 1,000 yen for the whole day. We parked our car then go to Osaka CBD area by train. There is a train station nearby called JR Sakurajima station, within 5 minutes walking distance. There are a few good things about La’gent Hotel Osaka Bay, one to them as mentioned earlier, it is within walking distance to Universal Studio Japan. Other good points such as the hotel are one of the newest and also one of the cheapest in the Osaka Bay Area. You tend to see more students and the young family with children staying here. There are groups of Korean students staying here during my stay. The front desk staffs speak good English so there is no problem to communicate your needs with them. This hotel does not have public bath or onsen. However, you are welcome to pick up the toiletries near the front desk. The red pack is the onsen powder or bath salt. You can choose from the different flavor, the red and the yellow then pour it in your own hotel room bathtub with warm water. This tiny packet of onsen powder is believed to help to recover from fatigue, stress and tiredness. It is so popular in Japan household. The hotel is themed with jungle so you see animals displayed all over the hotel. Pajamas are also provided and placed on top of the bed. How to preparing Japanese bath in your hotel room? You can start preparing the water for your onsen bath. The best temperature is 38-40’C. Remember to pour the onsen powder into the water. After you have finished soaking your body, do not rinse off as the ingredient from the onsen powder do wonder to your skin. If you shower again, then all the good ingredients of the onsen powder will also be washed away. Remember, don’t rinse with shower, unless you feel irritation on your skin. The number one thing I love about Japanese toilet is the heated seat. There are so many features for Japanese toilet and all are done with a finger pressing. Just to name some of them; it helps you clean your backside and bidet. You can also adjust the running water from weak to strong. It also has a dryer. Usually, foreigner took a while to figure out how to play with this gadget. Once you are familiar you will fall in love and hope to bring one home. Hotels in Japan are charged by the number of people staying in a room and do not charge by the room. You can have a very big room and still pay for one person price. It is unethical if you book a room for 1 person but stay with an additional person there. Usually, they will find out and ask you to pay for the other person. My booking of hotel stay has included with morning breakfast. If yours do not come with breakfast, you can go to the next door 7 Eleven to get your breakfast there. A good spread of Japanese breakfast including some of my favorite here is the Takoyaki. Tasted wonderful with the brown sauce and mayonnaise and bonito flakes at the top. (Takoyaki is a ball-shaped Japanese snack made of wheat flour and inside filled with diced octopus.) You can eat Takoyaki everywhere in Japan now but the origin place is from Osaka. These are my favorite Japanese dessert, the coffee jelly, and the Abekawa Kinako Mochi. Most people know about mochi but Abekawa Kinako Mochi has got something different, it is super soft and melted in your mouth. You can find this type of mochi in any of the convenient stalls in Japan. There is a small corner for kids menu which serve fries, pancakes and nuggets. The typical Japanese tray to pick up all the food. Mozuku Seaweed is quite unique and not the usual dried seaweed that we see. It is individually packed in a tiny pack. I thought these are small worms at first glance but after tasting it, I realized it is a type of seaweed. The taste contains vinegar which is very refreshing and turns out to be very yummy. Apparently, Mozuku seaweed is the pride of Okinawa Japan. The yellow powder is called “kinoko” in Japan. The super soft mochi is coated with kinako/ roasted soybean flour. La’gent Hotel Osaka Bay is conveniently located near Universal Studio Japan. What makes the hotel very attractive is its cheap price, new & clean environment. Hotel breakfast has a huge variety to choose from, mostly Japanese authentic breakfast. What an incredible beauty, Japan is always so perfect. So incredible. I’m always fascinated to learn more. I am glad to learn about the Okinawa Pride in this hotel, the Mozuku seaweed. So appetizing and don’t be fool by its look. It doesn’t look so appealing but tasted super wonderful. I don’t regret trying this mozuku seaweed from Okinawa. The breakfast spread looks really nice! I also love the little paw prints in the last photo, showing the room numbers! They look so cute! Yes, the hotel has a jungle theme. Very cute indeed. You will find many young people and young family with small children staying here. How interesting to read about this culture and see more into it! Thank you for sharing about the hotel, it will come in handy for sure! I have never heard of the Osen powder, but it sounds wonderful. I love that you showed the difference in the breakfast foods. It was very interesting to learn about that. Onsen powder or we called it bath powder is really popular in the most household in Japan. They come with different flavors and smell and all aim to relax the body after soaking them. Remember, do not rinse after finish soaking your body as the minerals from the onsen powder will help to smoothen your skin and relax your muscle. Glad that the La’gent hotel has offered plenty of small packet of Onsen powder for their customer to take and use at their hotel bathroom. Sign me up, this looks absolutely fantastic! This hotel looks a nice place to stay at a reasonable rate. Room is looking so comfortable and relaxing. I’d definitely recommend it to anyone who wants to stay in a hotel near universal studio Japan. This hotel offer one of the reasonable price including delicious breakfast in the Osaka Bay area which is also very near to Universal Studio Japan. This is such a nice hotel. I love that its near of Universal Studios. That’s one of my favorite parks ever. Thanks for sharing! You are right, the hotel is so near Universal studio Japan so it is pretty popular among young people. You can even walk to Universal Studio. The La’gent Hotel at Osaka Bay sounds like a great place to stay. I love their themed room and its great when staff are able to speak in English in a foreign country. Thanks for your comment. As compare to 20 years ago, Japanese do a lot better now; the staff in most hotel speak fluent English. I had no idea there was a Universal Studios in Japan. But the La’gent Hotel looks like the perfect place to stay if you are visiting theme park. 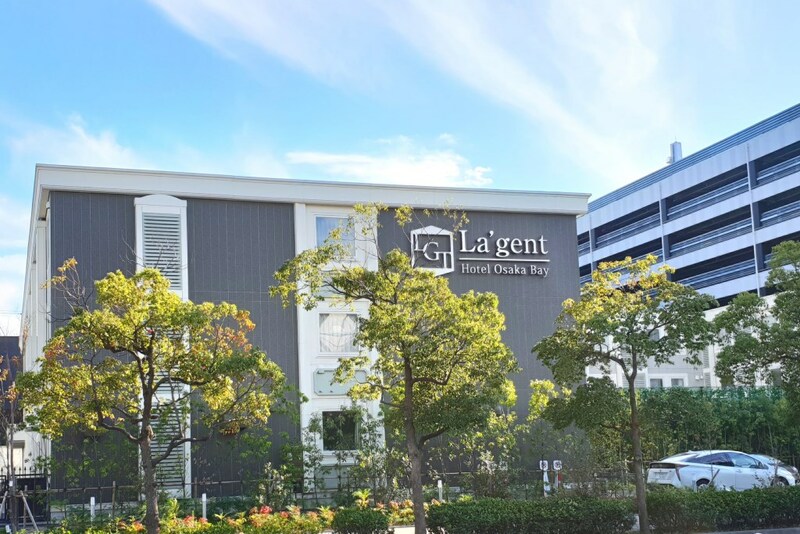 You are totally right about it, La’gent Hotel in Osaka Bay area is one of the ideal place to stay, especially if you are planning to visit Universal Studio Japan. The hotel is one of the newest and also the cheapest. Best of all, is their breakfast! One of the thing I love about this hotel is their breakfast, taste so yummy and full of Osaka /Kansai cuisine. I can have them all here in the hotel!